I'm an absolute hoarder! I love stocking up on beauty and skin care products and thoroughly enjoy the idea of trying out new and varied products be it lotions, oils, masks and so much more...However, having been blessed with SUPER sensitive skin, hardly any of the products end up suiting me. I'm not even allowed to use soap on my face; Cetaphil has been my go-to for years now. 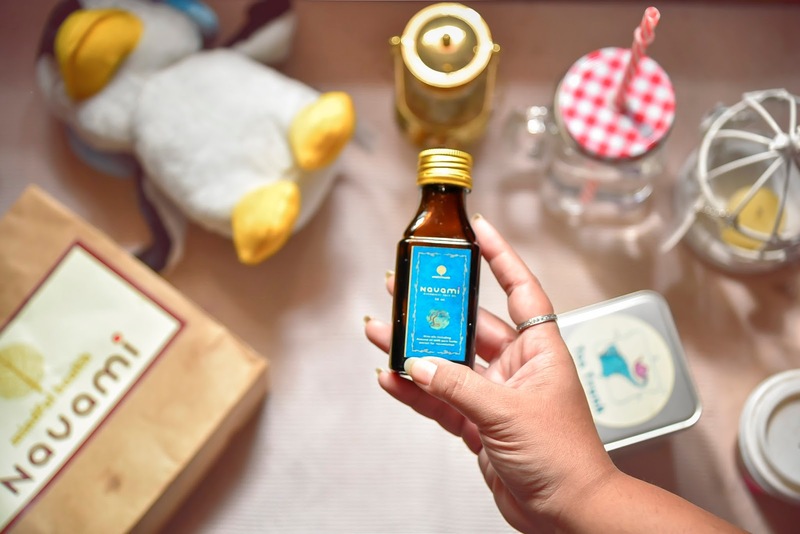 I was introduced to Navami through a friend who raved about the products...Curated by Barshani Gokhale, Navami boasts of a range of absolutely natural, chemical-free blended oils. Meeting Barshani was a lovely experience in itself. Not only did she take me through the philosophy and essence of the products, but we're now friends who bond over things other than work! 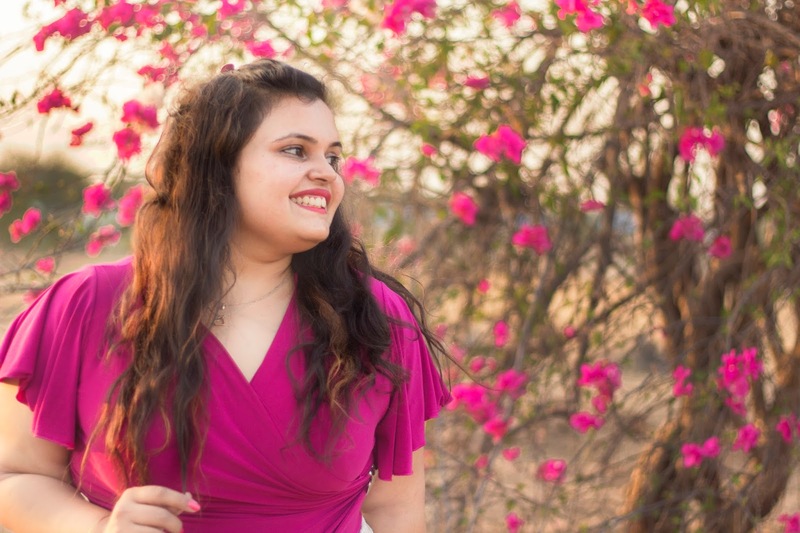 For Barshani, founder of the centre Mindful Health in Aundh, Pune, it's all about holistic well-being. 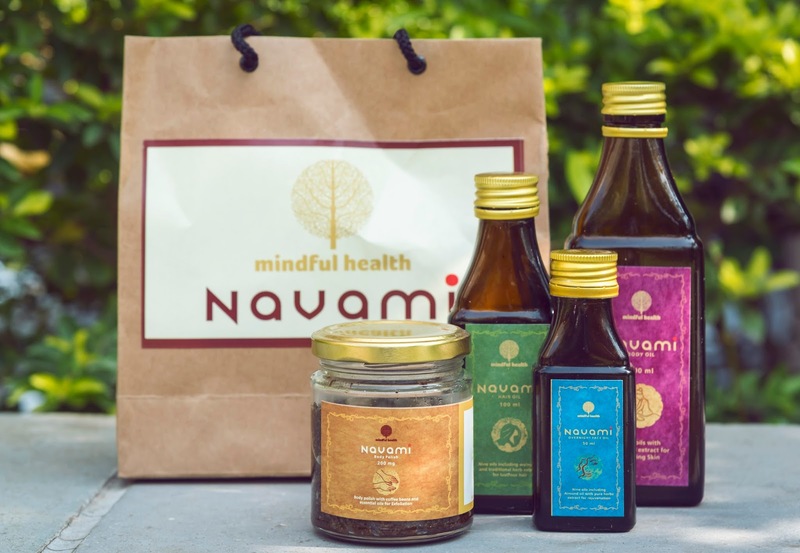 That's exactly what sets Navami apart from other products...Ingredients like neem, sesame, tulsi, jojoba go into the product. Haven't we all grown up hearing of the various benefits these have to offer? Barshani makes it a point to use contents that can be easily found in one's garden and there's a logical reason for using each of the contents. For me the range of Navami products is like my grandmom's suggestions put into a beautifully packaged bottle. That turmeric and almond oil are good for you is something I've heard since childhood! 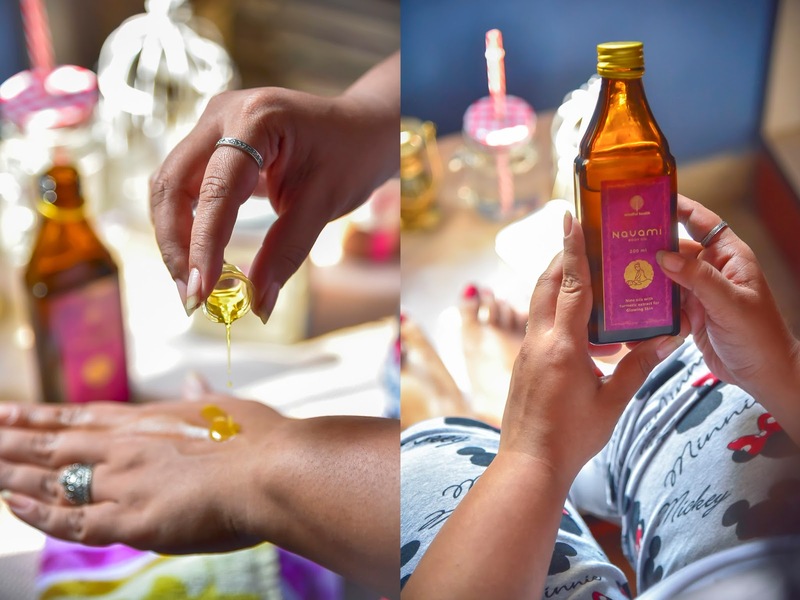 It was during my conversation with Barshani that I learnt most of the products are made of nine pure oils...which is where the name Navami comes from. Speaking of the products there's an Overnight Face Oil, Body Oil, Hair Oil and a Body Polish which is a scrub. Barshani very kindly gave me the entire range to try along with simple instructions on how to use every product. 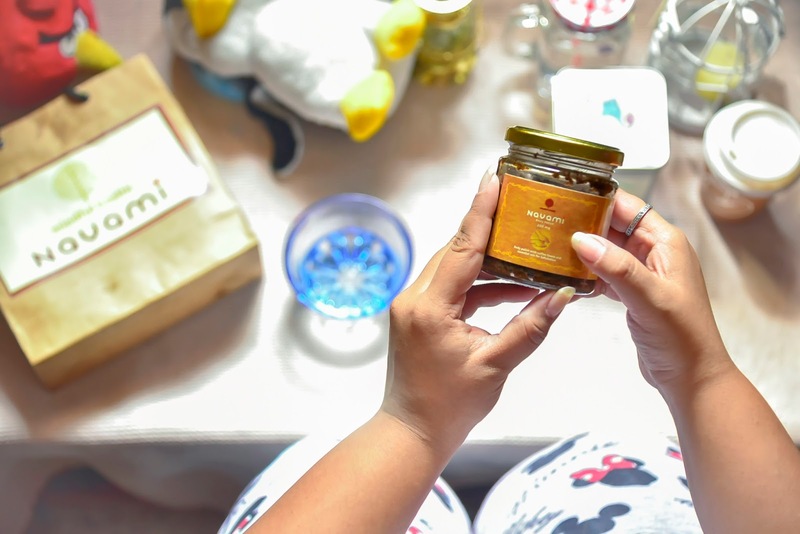 Due to some medical emergency this post is going up a month later but which also means I've been religiously using Navami products for a good 2 months. I'm not going to go into the finer details of how to use the products and all that...Trust me when I say you've got to use it for yourself to see that difference. From a visible glow in the skin to better hair texture, I've been experiencing a change and it's a happy feeling like no other. Ask someone with sensitive skin and dry, frizzy hair like mine and they'll tell you what a blessing it is to find something that not only suits you but also works for you! If the products are safe enough for Barshani's eight year old daughter to use them, there's no room for doubt right? To pamper yourself with some Navami love you can look for Mindful Health on FB. 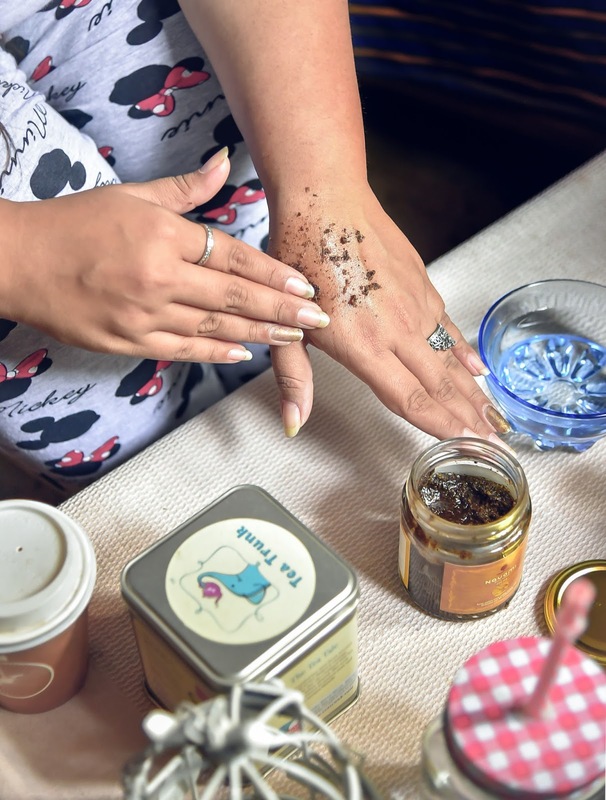 The Body Polish or Scrub (with oats and coffee), which smells really yum can be used to exfoliate the skin. The Body Oil is more of a pre-bath treatment. 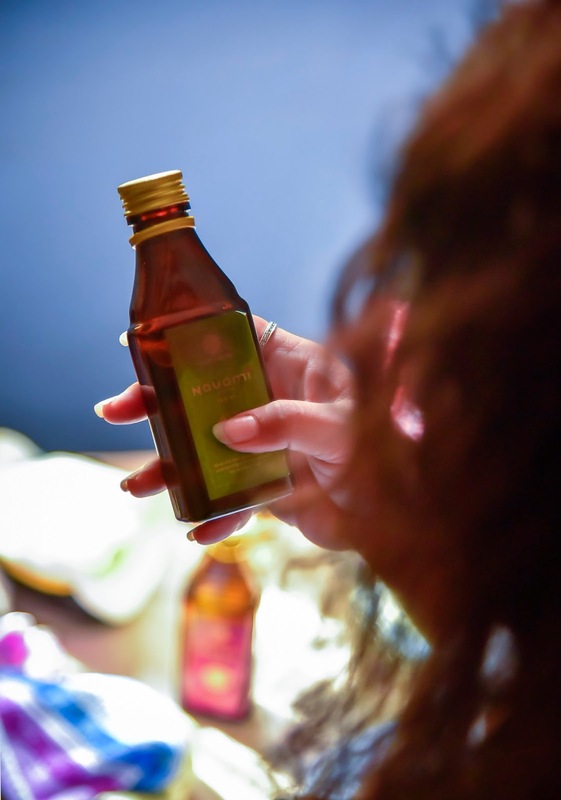 The Hair Oil contains walnut oil and makes the scalp healthy and infection-free. The Overnight Face Oil helps reduce pigmentation and the skin looks clearer with a healthy glow. loved the HD pics as well -wht camera do you use ? Thank you so much! :-) We've used the Nikon D750. Thanks for all the information that are mentioned in the post and also the benefits about the oils. 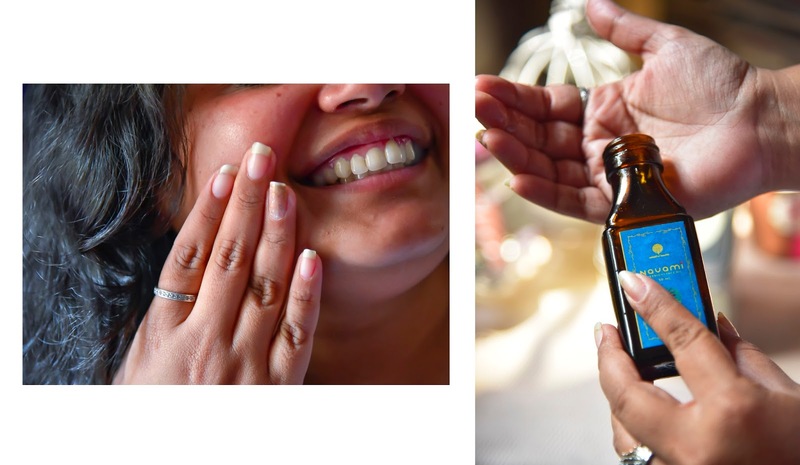 We can also use the natural oils like Cold Pressed Oil in Chennai for the strong and healthy life.